All images on this website are copyrighted by Jane Rosenberg and not for reproduction. I started drawing and painting at a very young age. After graduating from college with a BA in Fine Art, I continued my art studies in NYC at the Art Students League and the National Academy of Art. I've taken plein air workshops in France, Cape Cod, Massachussets and Laguna Beach, California. I spent many years as a courtroom artist covering famous trials for major television networks. Even during my years of being a courtroom artist I was always working with speed to try to capture a moment in time. Today I continue with this challenge outdoors. Light is fleeting, nature is ever changing and weather can be unforgiving. 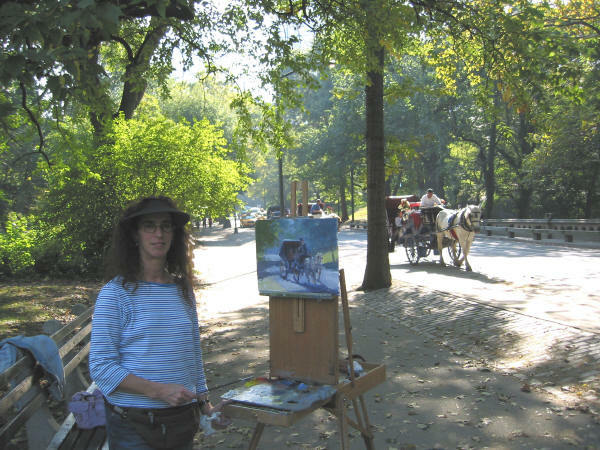 Working outdoors in NYC presents a unique set of challenges for a plein air painter. There are always people around- both interesting and interested. It's important to remain focused. This vibrant city provides a never ending supply of exciting subject matter to paint. Jane Rosenberg received a bachelor's degree in fine art from the State University of NY at Buffalo and trained in NYC at the Art Student's League and the National Academy of Art. Professionally, Jane Started as a portrait artist in Provincetown, Massachusetts, later becoming a courtroom artist for the major television stations and newspapers covering trials such as John Gotti, Susan Smith, Woody Allen, the 1993 World Trade Center Bombing Trial, Michael Skakel, Martha Stewart and WorldCom. Her work is in the permanent collection of The Museum of Television and Radio in New York City and on permanent display in The Museum of the Constitution in Philadelphia. 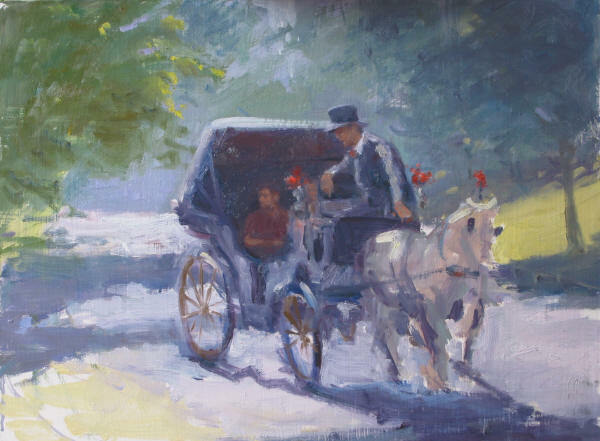 Currently, Jane works almost exclusively en plein air, and is a signature member of the New York Plein Air Painters. Her work is seen in collections throughout the US and abroad, and she is represented by the Simie Maryles Gallery in Provincetown, Massachusetts.